Throughout 2018 I have been asked to present at a number of conferences around the country on tactics and strategies sports and their clubs can use to increase participation. A lot of people think that participation awards are bad. This isn’t necessarily the case. At the start of each session, I ask a simple question. Do you think we should be providing kids with participation certificates and awards? Instantaneously there is a chorus of no and I hear words like “it is an age of entitlement” and kids of today are too “mollycoddled”. 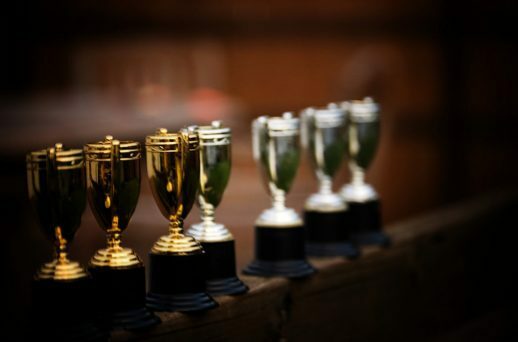 It’s a topic that generates significant debate with institutions such as the Nojak Djokovic Foundation and even the illustrious New York Times, in their 2016 article “Participation Trophies Send a Dangerous Message” coming out strongly against this type of recognition. To get the true perspective of my audiences I ask, who thinks “Yes” they should receive participation awards? At each of the sessions, only a few hands are tentatively up in the air. I then ask, who thinks “No! they shouldn’t be given a participation award!” Just about all the hands in the room instantaneously shoot up, people almost bounding out of their chairs. Strong and comfortable in their positions being almost universally endorsed. It does not matter what I think. Nor does not matter what you think. It only matters what your target audience wants. If they want recognition for participating, then as organisations seeking to attract people to our sports, we HAVE to give our participants what they want. What your personal opinions are about how this generation of parents is raising their children is irrelevant to your task of attracting the next generation of participants to your sport. To illustrate my key contention that we must focus what our target audience wants, in this example kids, and then give them what they want. I have three daughters, the youngest two are 4 and 6 years old respectively. We live in Mornington, a relatively small seaside town an hour outside Melbourne, Australia. After less than 10 minutes of searching online, my wife found there were at least 23 different activities offering participation options for our 4 and 6-year-old daughters. These activities ranged from traditional sports such as Netball, Aussie Rules and Basketball to activities such Gymnastics, Swimming, Ballet, Hip Hop, Martial Arts, Soccer, Cricket, Tennis, Cheerleading, Nippers (Surf Life Saving), Music, Art, Painting, Messy Play, Trampoline, Junior Bush Rangers, Cub Scouts, Sea Scouts, Multi-Sports, Athletics, Acrobatics, Circus School, Singing, Cooking Classes and the list goes on. Not only are there so many choices for my kids, but my kids don’t do anything without checking it out on YouTube Kids first. Today, to successfully attract new participants, sports and clubs must evolve their offerings to match both the needs and the desires of future participants. I am not just talking about kids now but all participation. For example, according to Bowls Australia census information, membership at bowls clubs declined every year between 1983 and 2013. Bowls Australia has done some great work to arrest this trend through initiatives such as Jack Attack. The revitalisation of the sport, in my opinion, has been driven by barefoot bowls. It has offered bowls in a social and entertaining way, embraced by the next generation of participants. Much to the chagrin of many of the sport’s traditionalists. Cricket Australia recognise that power now belongs to the sporting consumer. So, they are now tailoring their offerings to provide fans and players exactly the experience they want. My 6-year-old daughter chose to do Auskick, AFL’s introduction program. After each Auskick session, all the kids come together, and they give out participation awards and prizes. The kids absolutely love the weekly presentations. They always try their best (and fairest) in the hope they will get one of the weekly awards. It adds to the fun and experience of the activity. It is also one of the major reasons my daughter goes back each week. So, my final message at the conferences was that if you want to attract new participants then you have to focus on their needs, overcome their barriers and exceed their expectations. If your future participants love receiving recognition each time they participate… then you better come through or there may just come a time when your sport or club does not have future participants.